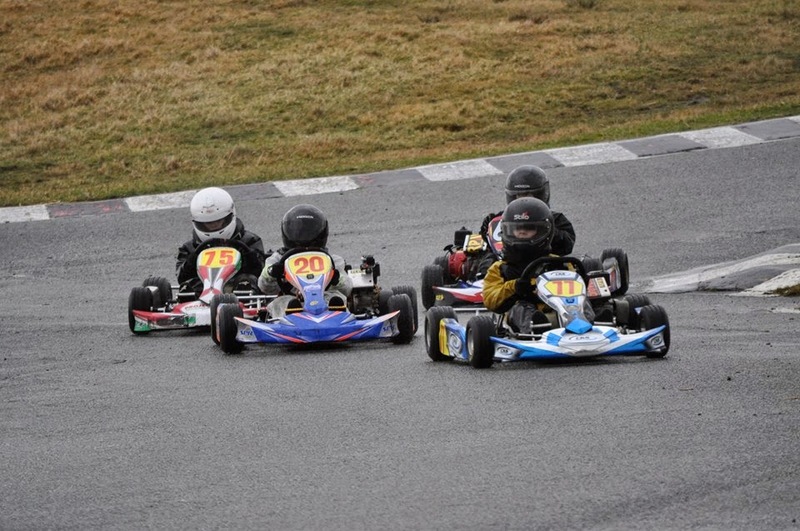 Round 2 for MBKC Championship and it was wet! 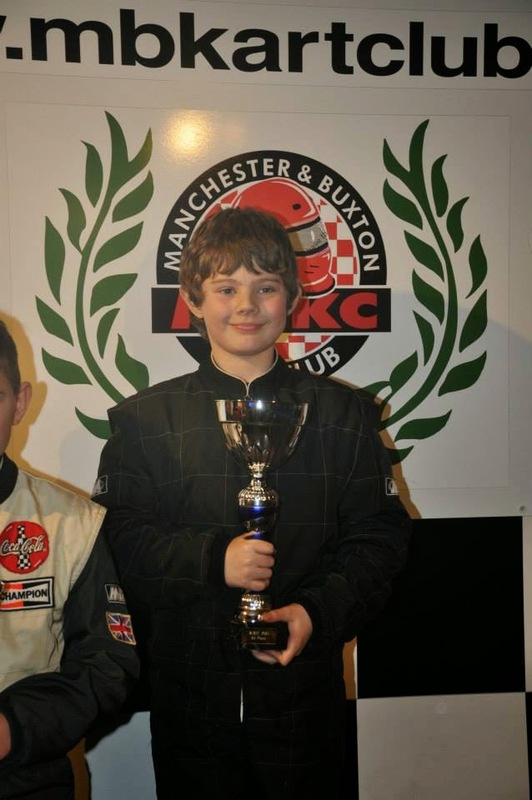 Not that it's a problem for Samuel as he enjoys racing in the wet and more so when its on the valley circuit! He came second in the first two heats and was just 3.3 seconds behind the leader in the second heat. He then went from 4th to first in the third heat with a comfortable 7 second lead. Here is a photo from the MBKC Facebook page of Samuel leading the Hondas. He was placed second on the grid for the final and managed to get past the leader to take the chequered flag and the top step on the podium with a 4.5 second lead.